Smart 4K TVs with built-in Roku software are coming, with Best Buy's Insignia brand first up to the plate. 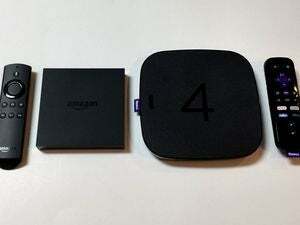 Roku 4 vs. Amazon Fire TV reviews: Which box is best for 4K streaming? After launching a 4K streaming box last year, Roku is loading its operating system onto 4K UltraHD smart TVs. Best Buy’s Insignia brand will be the first to offer 4K UltraHD Roku TVs, with a 43-inch TV for $400 and a 50-inch set for $500. Both models are available to purchase from BestBuy.com, with in-store pickup this weekend or in-home delivery early next week. Insignia will also sell a 55-inch version for $650, but Best Buy hasn’t given a release date for that model. Roku first announced its 4K TV plans in January, specifically calling out TCL as one of its partners. Those sets will come in 43-, 50-, 55-, and 65-inch flavors, though TCL hasn’t announced pricing or release dates just yet. HiSense has also announced plans for a 4K Roku TVs, but hasn’t given any specifics. 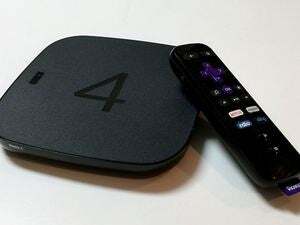 Roku’s TV software is similar to that of its standalone streaming boxes, such as the 4K Roku 4. The main difference is that users can switch to cable box, game console, Blu-ray/DVD player, or antenna inputs directly through Roku’s software menus; otherwise, the app selection and interface is the same. As noted in our Roku 4 vs. Amazon Fire TV head-to-head, Roku’s 4K app selection is unparalleled, with support for Netflix, Amazon Prime Video, Plex, Vudu, M-Go, UltraFlix, Smithsonian Earth, and YouTube. Whether you’ll notice the extra pixels that 4K UltraHD resolution affords (3840x2160, compared to 1920x1080 for full HD) is another matter. I find the distinction between 1080p and 2160p signals to be subtle at best even on my 70-inch TV, though it’s possible that the TV’s upscaler is providing some improvements to the 1080p signal. In general, smaller TVs will benefit less from the upgrade to 4K unless you sit quite close to them. 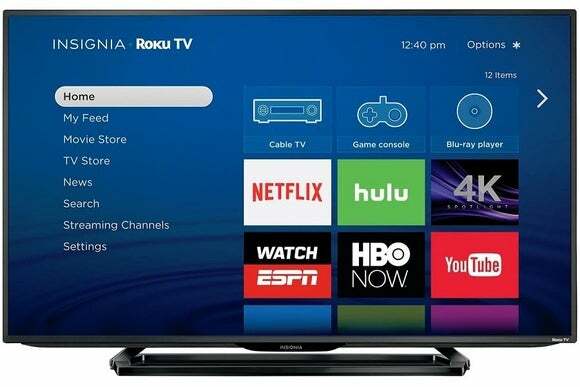 The story behind the story: Roku is trying hard to become the standard operating system for smart TVs, but 1080p alone wasn’t going to cut it as more buyers look to have that 4K resolution feature box checked. The 4K TVs we’re seeing now are the result of a reference design Roku released last year, which makes it easy for budget-TV manufacturers to load the company’s software onto their sets. A similar reference design is in the works for high dynamic range, or HDR, which means Roku smart TVs should start looking even better late this year or early next.